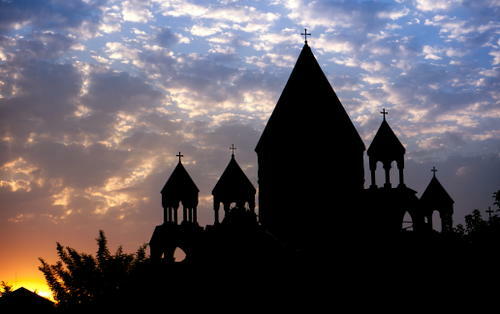 The religious buildings and archaeological remains in Echmiatsin and Zvartnots bear witness to the implantation of Christianity in Armenia and to the evolution of a unique Armenian ecclesiastical architecture, the Armenian central-domed cross-hall type, which exerted a profound influence on architectural and artistic development in the region. 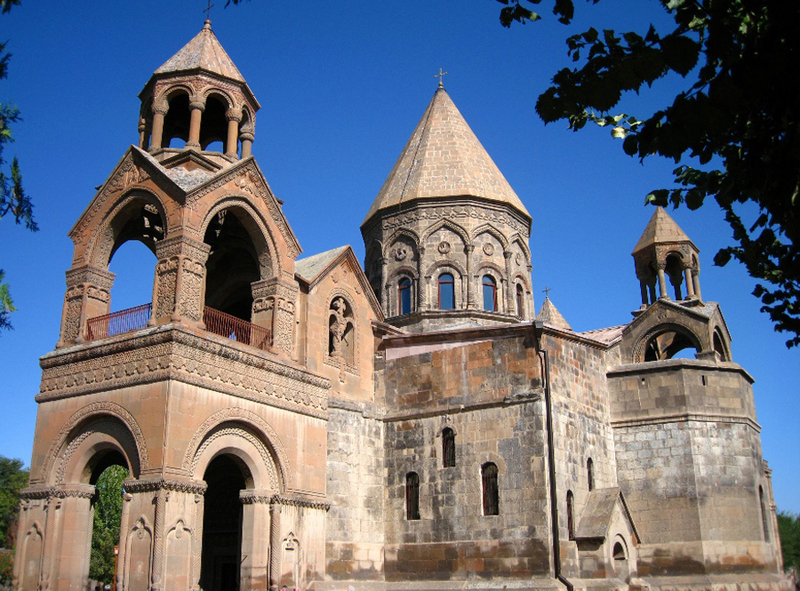 The Cathedral of Holy Echmiatzin is the most ancient Christian place of worship in Armenia, built in 301-3 by Gregor Lousavorich, the founder of the Armenian Apostolic Church, in Vagharshapat, the capital and religious centre of Armenia at that time. 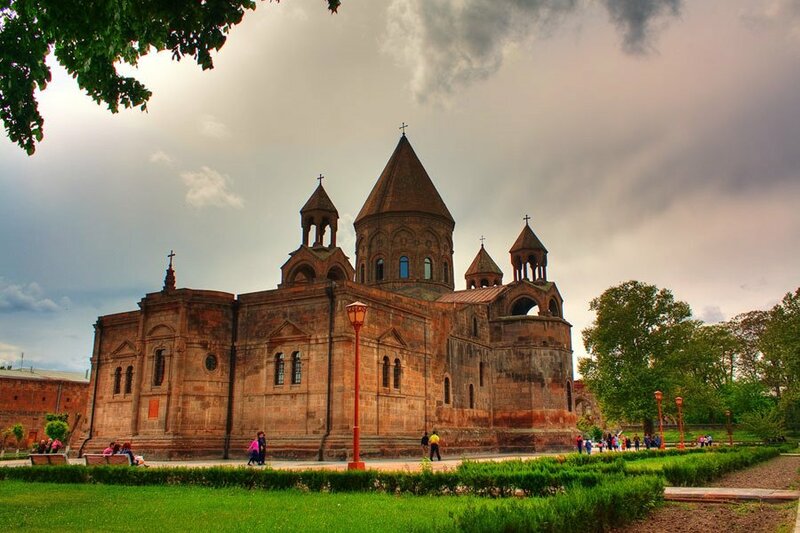 It was originally a vaulted basilica but, following serious damage as a result of political upheavals it was given its present cruciform plan during restoration work in 480. In 618 the wooden cupola was replaced with an identical one in stone which survives almost unchanged. Its mass is supported on four massive independent pillars connected by slender arcades within the exterior walls; those on the northern side belonged to the 4th and 5th centuries. A three-tier belfry was built in front of the western entrance in the 17th century. The six-column rotundas on four-pillar bases, built at the beginning of the 18th century over the northern, eastern and southern apses, give the cathedral a five-domed outline.